I can’t even begin to wrap my head around the fact that it’s fall. It seems like just yesterday that we were hanging out in the pool and now the leaves are changing. Time goes entirely too fast, don’t ya think? This week, we’ve had lots of fun learning about the four seasons. And of course that meant lots of awesome art projects and science activities. 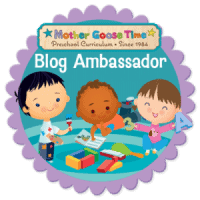 If you’ve been around for a while, then you probably already know that we’re using Mother Goose Time for preschool this year. We love it! It makes lesson planning so quick and easy. 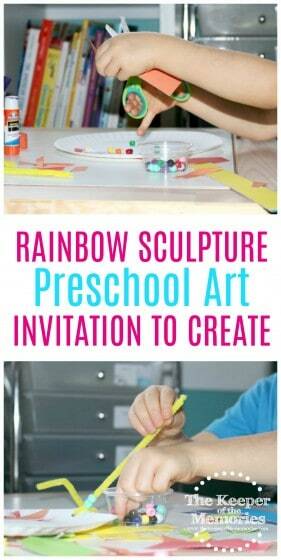 The little guy’s favorite activity this week was definitely the Rainbow Sculpture Invitation to Create. I’m seriously head over heels in love with process art and so is he. There are so many benefits for little kids. 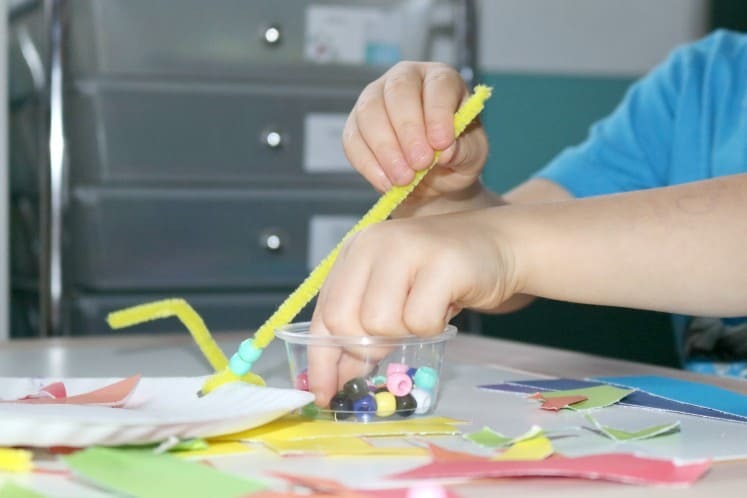 They learn everything from creative thinking to problem-solving skills and of course there’s also the opportunity for exploring new materials and mediums. Set out the Inspiration Photo and additional supplies. What colors do you see in the photo? What colors will you use in your art? 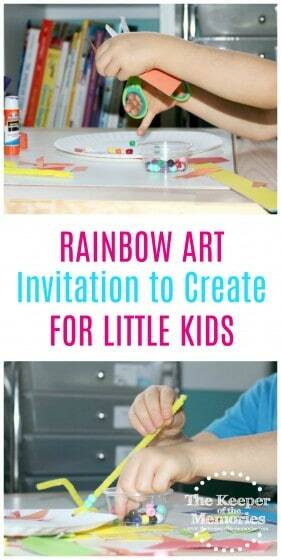 How can you bend pipe cleaners or paper strips in the shape of a rainbow? Do you want to create a sculpture, jewelry or something else? How will you use the beads? Will you create a pattern? 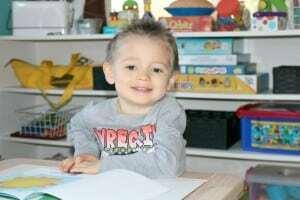 How did the child use the materials? 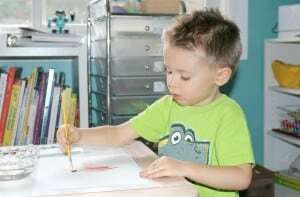 Was the child able to communicate his choices during the process of creating his art? 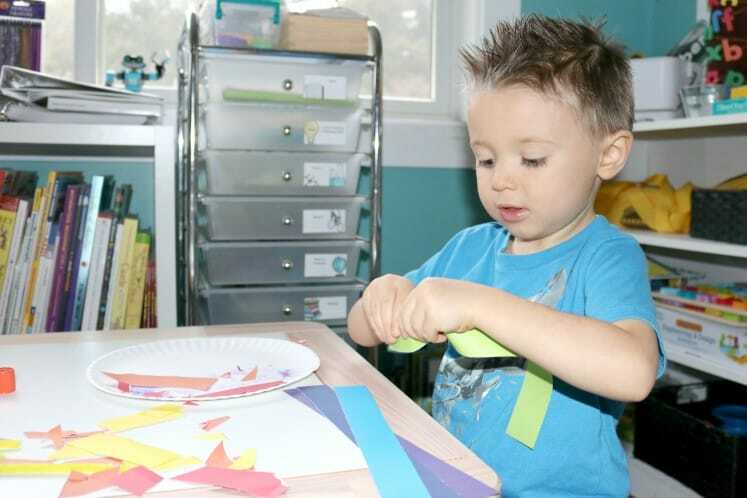 The little guy ended up cutting and/or tearing the rainbow paper strips and using a gluestick to make a collage on the paper plate. He used a pipe cleaner to make a hanger for his project and then added beads. 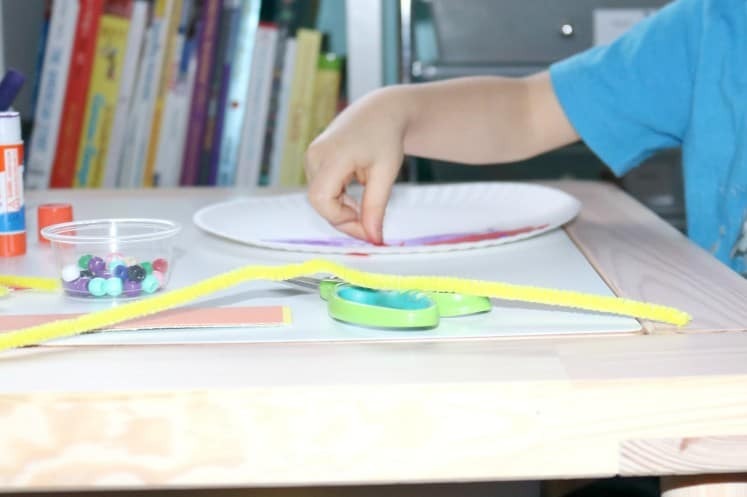 What a great way to work on fine motor skills. 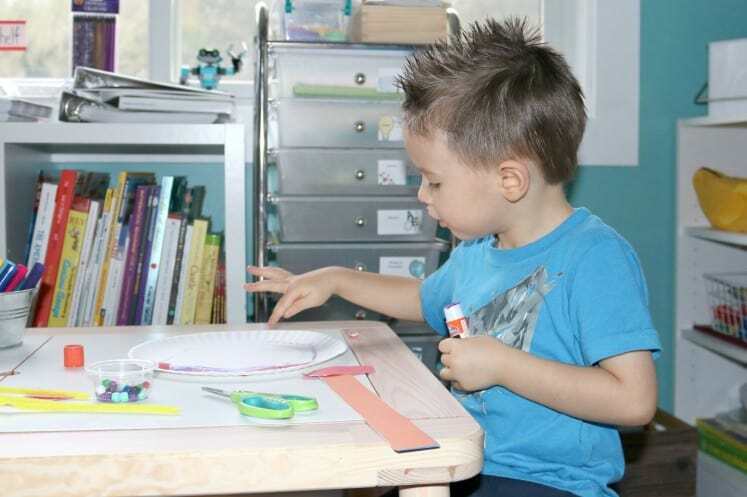 I definitely love watching the little guy create and especially when I know that he’s learning so much in the process. We’ve had such an amazing month thus far learning about weather and the four seasons. Don’t forget to check back if you’re interested in seeing what we’re up to with our Weather All Around Us theme. 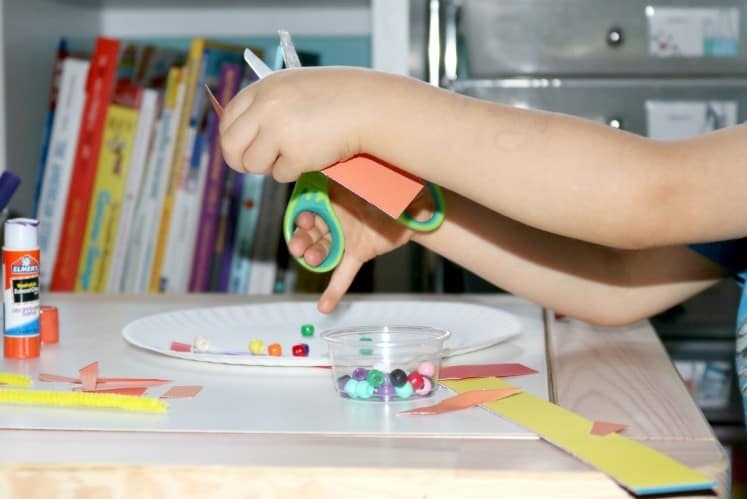 And if you missed our preschool space post, you can check it out here.